The personal aide to emeritus pontiff Benedict XVI revealed that the elderly pope resigned from the Catholic Church’s top position a year earlier than he had intended to because of the soccer World Cup. Monsignor Georg Gaenswein said that Benedict had planned to resign in 2014 but because of the scheduling of the tournament, he instead stepped down in 2013, making him the first pope to resign in 600 years. However, it turned out that the decision to step down had not been due to the pope’s love of soccer but instead because a doctor had warned Benedict that he could no longer take transatlantic flights, according to AP. Gaenswein explained that the pontiff had planned on holding out on his resignation until the World Youth Day event in Rio de Janeiro. The popular event usually takes place every three years and should have taken place in 2014 but due to the World Cup being hosted in Brazil that year, World Youth Day was held a year early. With the event moved to 2013 and the pontiff unable to attend under doctor’s orders, Benedict decided to resign, allowing for a new pope to be in place in time for World Youth Day. "Otherwise he would have tried to resist until 2014," Gaenswein said. 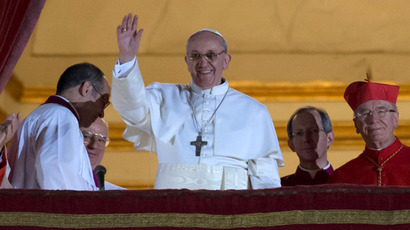 Benedict announced his resignation on February 23, 2013, five months before the major event was held, with Pope Francis then taking up the position and attending the event.